Achievements and wide screen support. 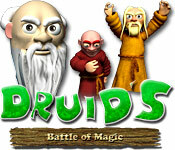 Druids - Battle of Magic is rated 3.7 out of 5 by 9. Rated 5 out of 5 by tyyllls from Cute, fun Match 3 game! Love it! I really do like this game! I love a good Match 3, and this is one of them. The animation is one of the things I like about this game- it's clear and simple and pleasing to the eye. I like to play on casual setting as timed games are not my thing any more, so I don't know how challenging the timed levels are. 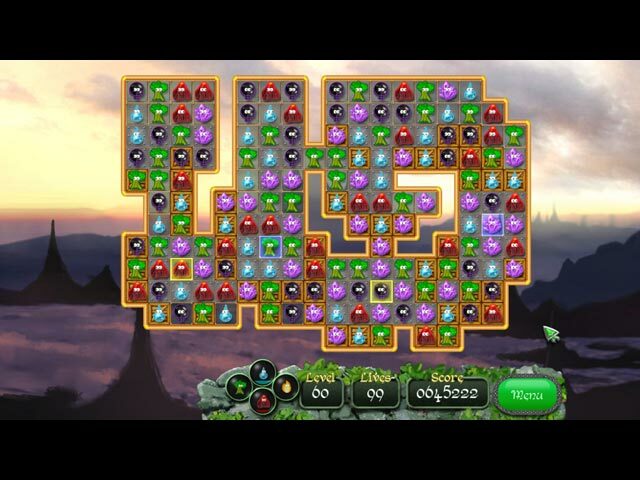 There are lots of things to do in each level to clear the board, and you can really get some action going at times. There are power-ups you get as you progress, and can be very useful. This game is relaxing, but keeps your mind engaged which is what I like. Give it a try, I think it's one of the best in a while! I don't know how I missed it till now! Rated 5 out of 5 by linyoung from Fun Match 3 I'm partial to the concept of Druids (smile), so decided to try this M3. The match pieces are colorful and cute (some of them turn out to be "assists" in clearing boards)! The sound effects are the best! When matches are made, very satisfying "clinks" and "clunks" like bottles colliding are heard. Also, I loved the gurgling sound when cascades occurred! The only downside for me was that, although the amount of board space is large, the spaces/tiles are not (at least for my 60 year old eyes (smile)). I'm always in a hurry and in this one you have to clear over wooden doors, etc...my problem was quickly seeing which ones I'd missed. My suggestion to any other "older" eyes is to start on one side of the board and clear across methodically. I was only missing 2-3 doing it that way. I got through level 12 during the demo (saving 10 min just in case there's a sale & I want to refresh my memory about buying). It seemed to be just challenging enough to nudge me a little without my feeling like it was work and was definitely a lot of fun! As a DD/good sale, I'd say buy! Rated 4 out of 5 by Rebr2009 from Classic Match 3 Help the druids to find their amazing book! Very nice game, good graphics, beautiful music - seems Celtic, an VO in the beginning cutscene. Two challenging levels: casual (and untimed infinite lives) and expert (timed and 5 lives). 9 achievements, 110 boards (As you progress, it becomes more difficult). As you score, you earn 4 powers that will help to destroy tiles (only 1, vertical or horizontal line or a group of six). 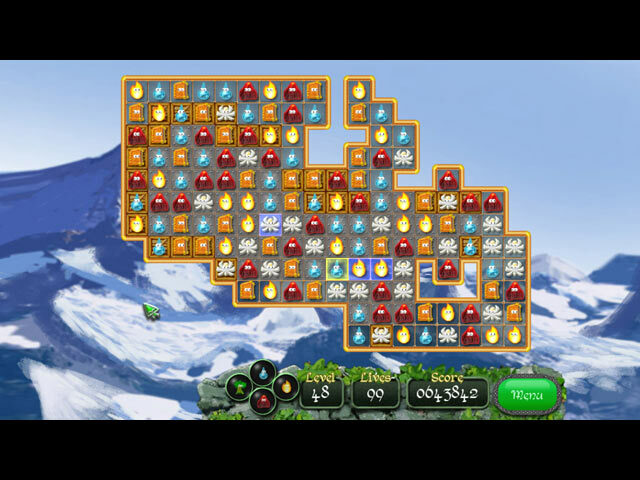 The game itself is not very challenging, but provides good entertainment, despite being a classic Match 3. Is a game like so many others, but I really like match 3 then I had fun! I recommend at least the free trial. Rated 4 out of 5 by Lainie221 from Tranquil Battle of Magic Druids boasts large M3 boards, New Age-like background music, and animated elements to match in order to free the entrapped denizens of this magical world. There are various impediments to clearing each board—at my present level, 20, there are metal and wooden tiles that need more than one match to destroy, and the beings trapped within might descend while still trapped, creating an obstacle in the new space it occupies. 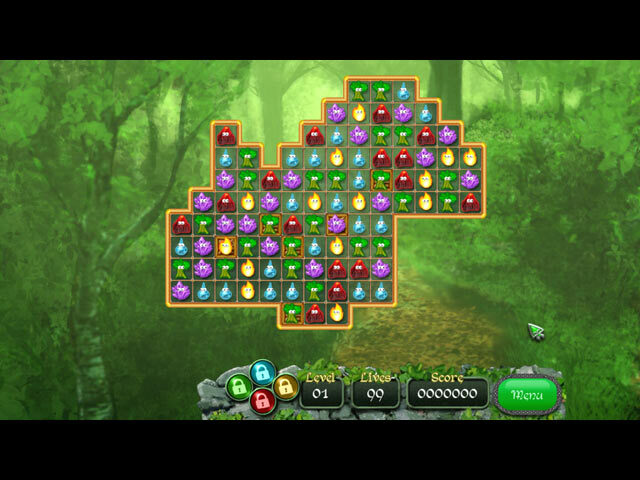 Some obstacles render the tile impervious to the player’s clicks and must be cleared by making nearby matches or by using the elemental power-ups. I play in untimed mode, so there’s no rush to clear the board, but sometimes it’s hard to see what kind of being is in the prison to match it to others of its kind because the prisons distort the being within. I don’t imagine that the story is particularly gripping since I cannot recall any of it, but I don’t generally play games of this type for the plot. Each of these boards takes a while to clear because the boards are so large and have so many impediments to clearing. How anyone plays this game timed is a mystery to me (smile). Rated 4 out of 5 by myyorkies1994 from A Fun Match 3! I got through level 15 of 110 on the trial, and found this game to be a very fun, swap-style M3. The music is mystic, the color and graphics and vivid and bright! The game boards change shape as you progress, making matching more challenging, as well as numerous blocks being placed on specific cells. Up to level 15 the storyline doesn't weave into the game - it's just M3 boards. By matching different icons they charge up your 'mana' (power-ups) in four different categories that allow you to smash groups of cells in different configurations. You can play timed or relaxed. The only drawback I see in this game is that, in the timed mode, there is no timer displayed, but you do get a 30 second warning screen, which allows you plenty of time to use your power-ups in the 'tough' areas. Hint: use your power-ups in the difficult areas as soon as they are charged, and they begin re-charging right away. All in all, a fun and colorful M3! Rated 3 out of 5 by Cornishwizard from Good Game but bad for eyesight This is a good game but, if you wear specs then you are in for some eye strain, if only the board was bigger it would be easier to see the locked items. This was the only reason I gave this game a "poor" rating for visual quality. After about 10mins my eyes had had enough and I quit the game. Even with goof eyesight I would recommend playing this game in short time sessions, maybe no longer than 15mins. There appears to be room on the screen to increase the playing area and if this was possible then I would buy the game. Sorry guys but I need my eyes more than this game. Rated 3 out of 5 by bluedancer from match 3 Well after just now playing 20 levels I feel a little disappointed. I read the reviews before I decided to try it out anyways but it is like most people said a little on the boring side. I personally had a problem with the visual aspect of this. You could not see where all the blocks that are supposed to be uncovered were . I loved the sound and the way it was playing. And I loved the idea that there are lots of levels in the timed mode. But I am not going to buy it because it is not challenging enough to be a fun game for me. Rated 3 out of 5 by planetankh from OK M3 Nothing Different Typical M3. Not much of a challenge. Relaxing. Played the demo but not interesting enough to buy. Like the sound effects. Rated 2 out of 5 by wicca1320 from Really boring Boring, not challenging at all. It just doesn't go anywhere.